K. He, X. Zhang, S. Ren, and J. Sun, “Spatial pyramid poolingin deep convolutional networks for visual recognition,” inEuropean Conference on Computer Vision (ECCV), 2014. R. Girshick, “Fast R-CNN,” in IEEE International Conference onComputer Vision (ICCV), 2015. K. Simonyan and A. Zisserman, “Very deep convolutional networks for large-scale image recognition,” in InternationalConference on Learning Representations (ICLR), 2015. J. R. Uijlings, K. E. van de Sande, T. Gevers, and A. W. Smeulders, “Selective search for object recognition,” InternationalJournal of Computer Vision (IJCV), 2013. R. Girshick, J. Donahue, T. Darrell, and J. Malik, “Rich featurehierarchies for accurate object detection and semantic segmentation,” in IEEE Conference on Computer Vision and PatternRecognition (CVPR), 2014. C. L. Zitnick and P. Dollar, “Edge boxes: Locating object ´proposals from edges,” in European Conference on ComputerVision (ECCV), 2014. J. Long, E. Shelhamer, and T. Darrell, “Fully convolutionalnetworks for semantic segmentation,” in IEEE Conference onComputer Vision and Pattern Recognition (CVPR), 2015. P. F. Felzenszwalb, R. B. Girshick, D. McAllester, and D. Ramanan, “Object detection with discriminatively trained partbased models,” IEEE Transactions on Pattern Analysis and Machine Intelligence (TPAMI), 2010. P. Sermanet, D. Eigen, X. Zhang, M. Mathieu, R. Fergus,and Y. LeCun, “Overfeat: Integrated recognition, localizationand detection using convolutional networks,” in InternationalConference on Learning Representations (ICLR), 2014. S. Ren, K. He, R. Girshick, and J. 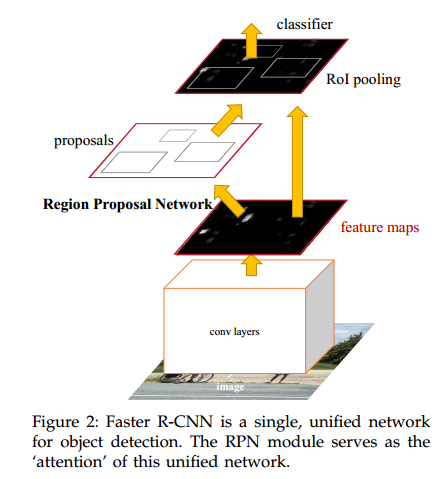 Sun, “Faster R-CNN: Towards real-time object detection with region proposal networks,” inNeural Information Processing Systems (NIPS), 2015. M. Everingham, L. Van Gool, C. K. I. Williams, J. Winn, andA. Zisserman, “The PASCAL Visual Object Classes Challenge2007 (VOC2007) Results,” 2007. T.-Y. Lin, M. Maire, S. Belongie, J. Hays, P. Perona, D. Ramanan, P. Dollar, and C. L. Zitnick, “Microsoft COCO: Com- ´mon Objects in Context,” in European Conference on ComputerVision (ECCV), 2014. S. Song and J. Xiao, “Deep sliding shapes for amodal 3d objectdetection in rgb-d images,” arXiv:1511.02300, 2015. J. Zhu, X. Chen, and A. L. Yuille, “DeePM: A deep part-basedmodel for object detection and semantic part localization,”arXiv:1511.07131, 2015. J. Dai, K. He, and J. Sun, “Instance-aware semantic segmentation via multi-task network cascades,” arXiv:1512.04412, 2015. J. Johnson, A. Karpathy, and L. Fei-Fei, “Densecap: Fullyconvolutional localization networks for dense captioning,”arXiv:1511.07571, 2015. D. Kislyuk, Y. Liu, D. Liu, E. Tzeng, and Y. Jing, “Human curation and convnets: Powering item-to-item recommendationson pinterest,” arXiv:1511.04003, 2015. K. He, X. Zhang, S. Ren, and J. Sun, “Deep residual learningfor image recognition,” arXiv:1512.03385, 2015. J. Hosang, R. Benenson, and B. Schiele, “How good are detection proposals, really?” in British Machine Vision Conference(BMVC), 2014. J. Hosang, R. Benenson, P. Dollar, and B. Schiele, “What makes ´for effective detection proposals?” IEEE Transactions on PatternAnalysis and Machine Intelligence (TPAMI), 2015. N. Chavali, H. Agrawal, A. Mahendru, and D. Batra,“Object-Proposal Evaluation Protocol is ’Gameable’,” arXiv:1505.05836, 2015. J. Carreira and C. Sminchisescu, “CPMC: Automatic object segmentation using constrained parametric min-cuts,”IEEE Transactions on Pattern Analysis and Machine Intelligence(TPAMI), 2012. P. Arbelaez, J. Pont-Tuset, J. T. Barron, F. Marques, and J. Malik, ´“Multiscale combinatorial grouping,” in IEEE Conference onComputer Vision and Pattern Recognition (CVPR), 2014. B. Alexe, T. Deselaers, and V. Ferrari, “Measuring the objectness of image windows,” IEEE Transactions on Pattern Analysisand Machine Intelligence (TPAMI), 2012. C. Szegedy, A. Toshev, and D. Erhan, “Deep neural networksfor object detection,” in Neural Information Processing Systems(NIPS), 2013. D. Erhan, C. Szegedy, A. Toshev, and D. Anguelov, “Scalableobject detection using deep neural networks,” in IEEE Conference on Computer Vision and Pattern Recognition (CVPR), 2014. C. Szegedy, S. Reed, D. Erhan, and D. Anguelov, “Scalable,high-quality object detection,” arXiv:1412.1441 (v1), 2015. P. O. Pinheiro, R. Collobert, and P. Dollar, “Learning tosegment object candidates,” in Neural Information ProcessingSystems (NIPS), 2015. J. Dai, K. He, and J. Sun, “Convolutional feature maskingfor joint object and stuff segmentation,” in IEEE Conference onComputer Vision and Pattern Recognition (CVPR), 2015. 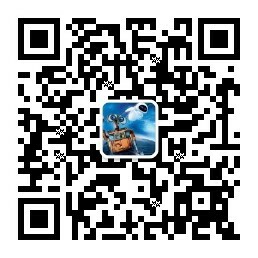 S. Ren, K. He, R. Girshick, X. Zhang, and J. Sun, “Object detection networks on convolutional feature maps,”arXiv:1504.06066, 2015. J. K. Chorowski, D. Bahdanau, D. Serdyuk, K. Cho, andY. Bengio, “Attention-based models for speech recognition,”in Neural Information Processing Systems (NIPS), 2015. M. D. Zeiler and R. Fergus, “Visualizing and understandingconvolutional neural networks,” in European Conference onComputer Vision (ECCV), 2014. V. Nair and G. E. Hinton, “Rectified linear units improverestricted boltzmann machines,” in International Conference onMachine Learning (ICML), 2010. C. Szegedy, W. Liu, Y. Jia, P. Sermanet, S. Reed, D. Anguelov,D. Erhan, and A. Rabinovich, “Going deeper with convolutions,” in IEEE Conference on Computer Vision and PatternRecognition (CVPR), 2015. Y. LeCun, B. Boser, J. S. Denker, D. Henderson, R. E. Howard,W. Hubbard, and L. D. Jackel, “Backpropagation applied tohandwritten zip code recognition,” Neural computation, 1989. O. Russakovsky, J. Deng, H. Su, J. Krause, S. Satheesh, S. Ma,Z. Huang, A. Karpathy, A. Khosla, M. Bernstein, A. C. Berg,and L. Fei-Fei, “ImageNet Large Scale Visual RecognitionChallenge,” in International Journal of Computer Vision (IJCV),2015. A. Krizhevsky, I. Sutskever, and G. Hinton, “Imagenet classification with deep convolutional neural networks,” in NeuralInformation Processing Systems (NIPS), 2012. Y. Jia, E. Shelhamer, J. Donahue, S. Karayev, J. Long, R. Girshick, S. Guadarrama, and T. Darrell, “Caffe: Convolutionalarchitecture for fast feature embedding,” arXiv:1408.5093, 2014. K. Lenc and A. Vedaldi, “R-CNN minus R,” in British MachineVision Conference (BMVC), 2015.